As the already known complications to its demise have increased by the minute, there may be some detectable pauses in the partisan zeal to give the Affordable Care Act, aka Obamacare, the bum’s rush. That’s because the legislation’s repeal-and-replace proponents — despite seven years and several dozen U.S. House votes to roll back the ACA — have yet to detail how 20 million Americans who have gotten health insurance under Obamacare will be covered in the days ahead. Opponents also haven’t explained how they may change the far reach of the ACA, including how the law and the Obama administration have reshaped, and often, improved American health care, for example, by changing entrenched payment practices and forcing greater accountability. 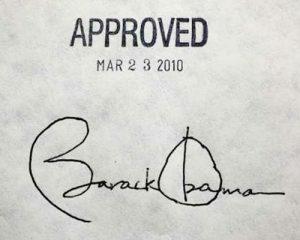 The New York Times, in reviewing the presidential legacy, has reported on what it terms the transformational aspects of Obamacare that also may sustain, no matter the partisan attacks on the attempt to provide broader health insurance coverage. In brief, the paper says Obamacare forced health care in this country to become more data-driven and evidence-based, as well as refocused on patients and their needs. Although some of the major drivers of these reforms, including hefty spending for electronic health records, haven’t hit the high marks advocates hoped for, progress has occurred. Meantime, other news organizations and researchers have found that two notable ACA initiatives, one on payments and the other on improving care, are proving their value. Kaiser Health News, an independent service covering health policy as part of the work of the nonpartisan Henry J. Kaiser Family Foundation, has reported on the savings achieved under Obamacare’s push for “bundled” medical services, notably by Medicare for joint replacements. Under this method, Medicare pays a central contact (hospitals) one set fee for all care related to a knee or hip replacement from the time of surgery to 90 days after. Hospitals negotiate with all the care providers, including surgeons, anesthesiologists, X-ray experts and so on, and disburse sums owed, rather than patients getting barraged by bills, piecemeal. Kaiser points to a study published in the peer reviewed and respected Journal of the American Medical Association that finds that this approach cut costs significantly for joint surgeries at a time when Medicare costs were rising. The researchers — who critics note include Dr. Ezekiel Emanuel, an architect of Obamacare —said bundling saved on average eight percent on joint replacement costs in the seven years and almost 4,000 procedures they scrutinized. They estimated that bundling could save Medicare $2 billion annually. The researchers also emphasized that this practice did not compromise the quality of care. Instead, because it forces providers to discuss extensively costs and methods, it improves the coordination of care with better outcomes. But this practice has a harsh and notable critic: an orthopedic surgeon from Georgia who calls it “experimenting with Americans’ health” and an improper power grab. Dr. Tom Price, now the nominee to head the federal Health and Human Services Department and a fierce Obamacare critic, wrote to Medicare’s chief last fall to denounce bundling and not only the federal government’s test of it with joint surgeries but also announced plans to expand trials of it with heart attacks, bypass surgeries, and cardiac rehabilitation. Under the ACA, hospitals were penalized in their Medicare reimbursements if they had excessive re-admissions of patients who had suffered heart attacks, congestive heart failure, or lung infections. Penalties at major academic medical centers have hit as has high as $1 million. Hospitals paid greater attention, resulting in significantly fewer re-admissions, the researchers found based on their scrutiny and analysis of discharge and readmission data for 15 million patients at nearly 3,000 hospitals between 2000 and 2013. The program may need improvements to be deemed fully successful, as some hospitals have chafed over their penalties, contending that they treat disproportionate numbers of sicker and poorer patients and they want these factors considered. I’ve written before that simply repeating “repeal and replace” is a poor public policy approach to our national health care. I’ve said that too many counterfactual arguments have been raised to attack Medicaid, Medicare, injured patients’ rights to sue over medical harms, and the ACA. 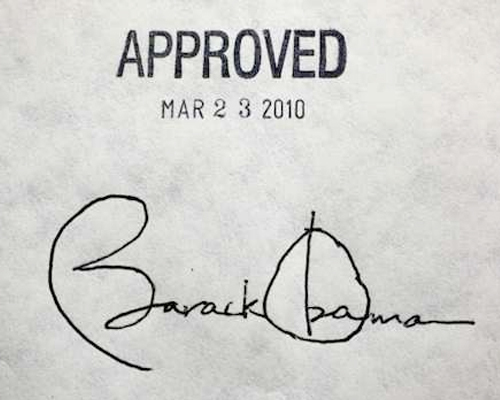 Obamacare has been imperfect in many ways. But just dumping it all isn’t a grownup solution. Providing health insurance coverage is only one part of a complex, interlocking set of challenges in ensuring Americans’ health care. We need to guarantee we all have extensive access to the best, safest, most affordable medical services that the trillions of dollars we spend annually should get us. At the moment, this demands that we engage in serious discussions and ditch the partisan cant.